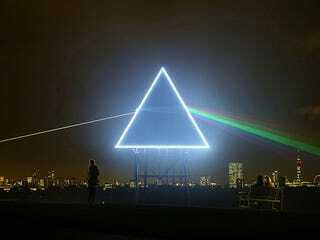 Pink Floyd's Dark Side of the Moon cover materializing on Primrose Hill, in Regent's Park, London. Beautiful. Tripping. Awesome. Some of you probably don't know what the hell I'm talking about. Don't worry. It'll make sense one day.